Lecturer Nguyen Quoc Huy - Faculty of Physics of HNUE has been awarded the Excellent Prize for "Design and manufacture of some new experimental equipment for electromagnetic induction for use in teaching physics in high school ". On the evening of November 14th, the "Education for Young Learners" program in 2016 held the awards ceremony for the most outstanding projects. After more than 5 months of implementation, there were 267 works, 214 authors, 53 co-authors from 49 provinces and cities nationwide, including 108 works, initiatives renovating innovative and effective teaching methods; 92 works, innovative ideas, creating tools for teaching and learning; 67 research works in the field of educational science. These initiatives are published on the website: trithuctre.doanthanhnien.vn attracted more than 18,000 online accounts registered information access and more than 25,000 votes. The participants are wide range from managers, teachers, and lecturers to students, even at grade 6 and many young people working in different fields. Attending the Award this year were Phan Thanh Binh, Chairman of the National Committee for Culture, Youth and Children's Education; Le Quoc Phong, Alternate Member, Central Committee of the Communist Party, First Secretary of the Central Committee of the Union, President of the Central Association of Students of Vietnam; Ms. Nguyen Thi Nghia - Vice Minister of Education and Training; Mr. Tăng Huu Phong - Editor-in-chief of Tuoi Tre Newspaper; Mr. Vo Van Thanh Nghia - General Director of Thien Long Group and educators, scientists in the jury of the program. 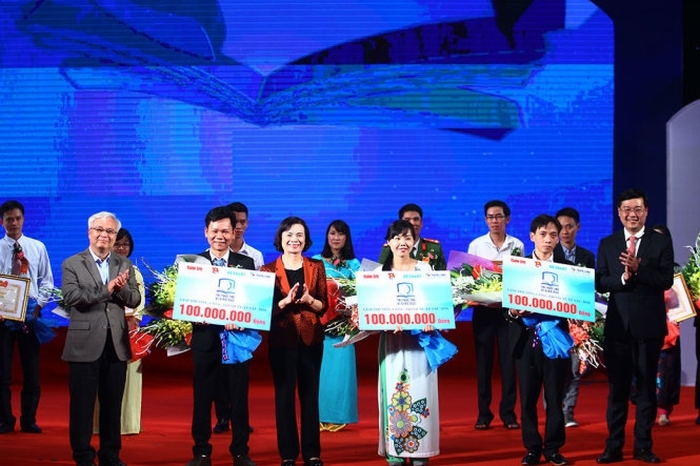 Each of the projects, initiatives will receive commemorative medals of the Ho Chi Minh Communist Youth Union, certificates of the program and a reward of 100 million. In addition, the organizers also awarded 10 million for each initiative reached the national final round. These works and innovations are highly appreciated by the judges for their novelty and practicality for usage in teaching activities aimed at reforming the Ministry of Education and Training. According to the jury, among 13 finale-selected initiatives, some could be commercialized and applied in teaching. Lecturer Nguyen Quoc Huy (second from right) is one of three prominent authors to receive the "Education for Young Learners" award in 2016. 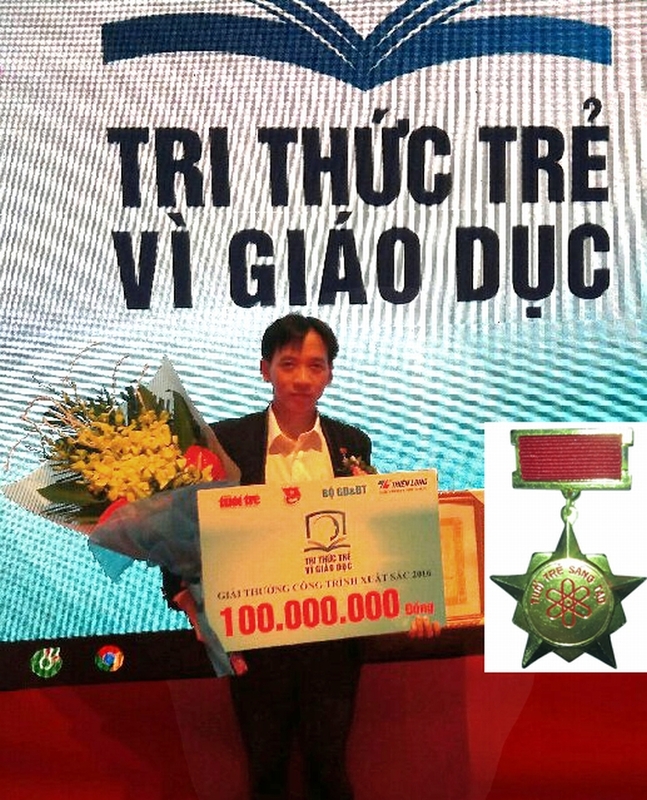 The author Nguyen Quoc awarded medals of "Creative Youth".